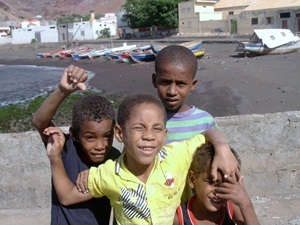 Some hundreds of years ago the Yacht Charter region Cape Verde Islands were one of the most important “trade centres” of slavery – descendants of black Africans, Portuguese and other European form the population today. The islands are poor; young people, who want to have a business career, immigrate to Portugal. Women, children and older people stay behind. 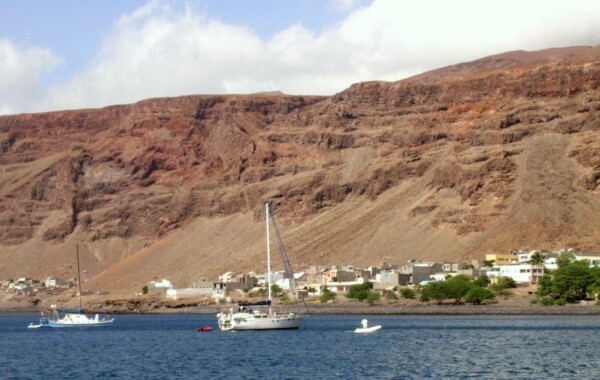 Prosperity has not yet arrived in Cape Verde but there is a gradual change in the improvement of infrastructure and Yacht Charter tourism is growing. Yacht Charter crews take over their sailing yachts in the Yacht Charter base in Mindelo. There is a connection via the island of Sal where the international flights arrive. This flat salt island with the international airport is the only island, which experiences some kind of international tourism. There are several large hotels. The flight duration from Sal to Mindelo amounts to less than an hour. 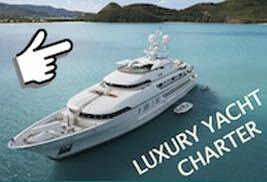 Regarding the catering for your Yacht Charter cruise: Buy what you see and need – there is a strong possibility that the next supermarket has more or less empty shelves. The very best food is brought to the charter yachts by fishermen with a choice of fresh tuna fish and a lot more of the catch of today. Sometimes there are special offers for one-way Yacht Charter between the Yacht Charter base in Mindelo and Sal. Most Yacht Charter crews only sail in the northern part of the archipelago of which Santo Antao is the biggest Island, lying northwest of Sao Vicente. Yacht Charter sailors who like walking can enjoy a tour around the volcanic mountains with marvellous views of Santo Antao, rugged peaks, ravines, valleys, woods and tropical vegetation. On the beach of Tarafal playing children expect the Yacht Charter tourists – a lot of them beauties with vivid blue eyes in their dark faces. Fishermen mend their nets, the women still do the laundry by hand… and there even is a German pension at the end of the beach. The teacher of the small village school actually speaks French a part from the local Creole or Portuguese. Not only is he teacher, mayor and master of the Port Authority but also responsible for “Baywatch”. And he enjoys talking to visitors and Yacht Charter crews, sometimes even inviting them to his small private house, as there is no office building. The uninhabited island of Saint Lucia is small but beautiful – Yacht Charter crews can make a very nice for an anchor stop during their Yacht Charter cruise on their way to Sao Nicolau. Mountains, black beaches and lots of green dominate Sao Nicolau. And on this island at least, there is plenty of agriculture. Boavista is completely different compared to the other islands. Exciting deserts with drifting dunes, endless untouched beaches (on one of them you will discover a big ship wreck) – here you Yacht Charter crews really get the feeling that Africa is not very far away. There are yacht charter bases with sailboats and catamarans for rent in Mindelo and on Sal island – please ask for offers! For citizens of many countries visa is required – obtainable at the embassy or at the airport when travelling with TACV, the airline of Cape Verde.